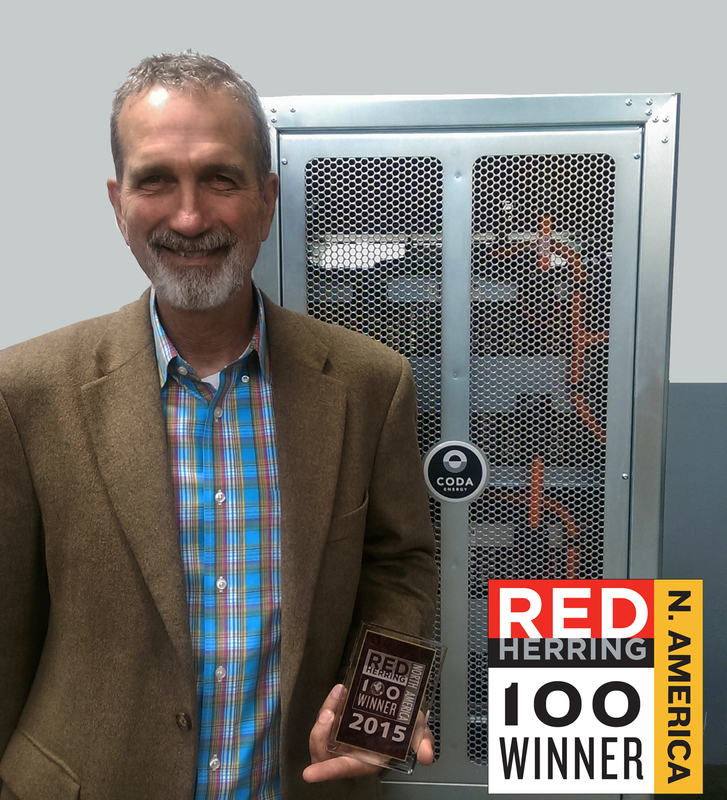 On June 5th, 2015 CODA Energy was among the winners of Red Herring’s Top 100 North America award that recognizes and celebrates leading innovators and change makers across the technology industry. At the live event, CODA founder, CTO and COO Peter Nortman demonstrated how CODA Energy’s network of distributed commercial energy storage is the key to creating a more reliable grid and sustainable energy future. With a deep history in battery technology, a unique financing model and the scalability and flexibility to satisfy a rapidly growing commercial energy storage market, CODA Energy is disrupting the status quo of energy management. Only one of four clean tech companies selected for the Top 100 list, CODA was recognized for its innovative networked systems and ability to demonstrate rapid market growth. An increasingly difficult competition, CODA Energy now joins previous winners including leaders in cloud computing, mobile and big data such as Facebook, Twitter, Google, Yahoo, Skype, Salesforce.com, YouTube, Palo Alto Networks and eBay.